BubaBloon is a versatile children's toy. As well as being great fun, it can also help kids develop and explore the world. 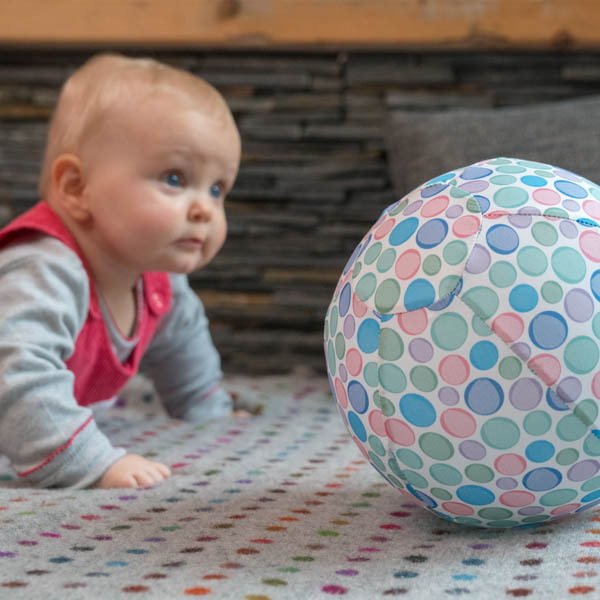 BubaBloon is amazing crawling motivation, kids can reach for it, knock it further away and chase it. As it’s never quite round it doesn’t travel as far as a ball would, plus it’s really light. 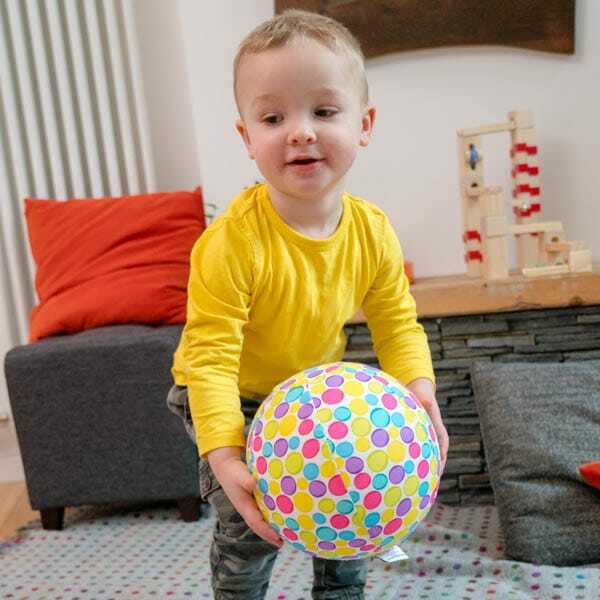 BubaBloon is perfect to help develop kicking skills – nice and light for younger kids and won’t damage anything as they master the ability! BubaBloon packs down to pocket size so it's easy to take away with you wherever you go. Keep it in your changing bag, handbag or travel bag for when your little one needs some distraction or play time. It's ideal for holidays, BubaBloon won't weigh you down or take up precious space. Use it in the airport or to distract your kids during turbulence. Once you get to your destination try it in the pool! When your child is just that little bit more special, then their toys should be too. 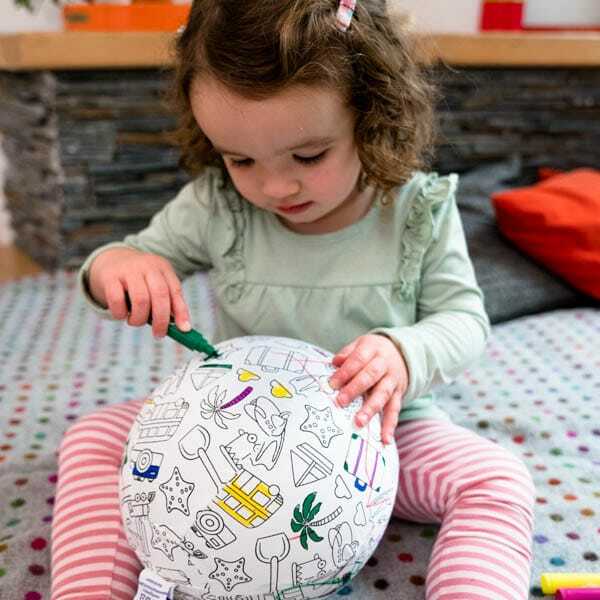 A BubaBloon is great for playdates for kids who need that little extra encouragement with joining in. They say distraction is a parent’s best tool and the BubaBloon is delightfully distracting for all the right reasons! It’s a beautiful autism toy for children that helps with learning and skill development and yet looks exactly like a toy should! Inspire courage in your child as they run and chase their new toy, boost their imagination as they make up new games and watch them learn as they play. 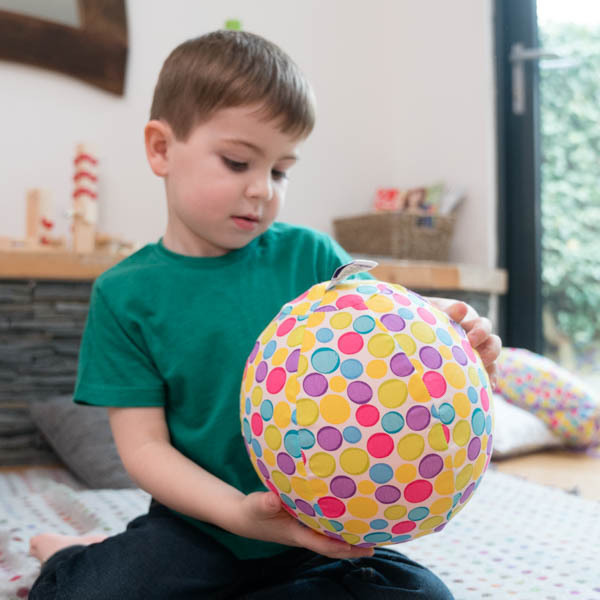 This isn’t just a toy – it is a fun, educational, sensory ball that encourages imaginative play every single time. There’s one for every taste. Choose from the adorable range of colours and patterns to suit your little one’s personality. Who knew something so simple, could provide so much delight and still be good for baby. It encourages the development of motor skills from an early age through play. 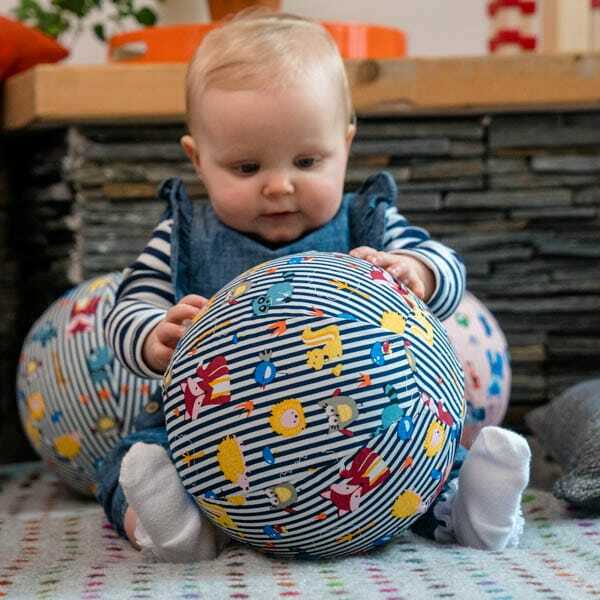 Bubabloon allows you to combine growth, development and fun all during playtime. Baby sensory toys are fantastic fun and can help fine tune motor skills through a variety of throwing games and creative play. We understand how much latex allergies can take the fun out of many games and just how serious they can be. A BubaBloon covers any latex balloon meaning there is no exposed allergy-inducing latex. Even if the balloon bursts it's kept safely inside the cover. The latex-free toy allows your children to enjoy healthy play without the concern of a reaction to allergies. All the fun of a ball with the lightness of a balloon, making it perfect for games with family and friends. Unlike balloons which attract hair and dust, the colourful protective cover doesn’t have static so it stays cleaner for longer, while the 100% poplin cover means it can be easily removed and washed when it does need a quick clean. It’s ideal for travel and allows you to take it with you so your little one can enjoy a safe game with their friends too.